February 21, 2009 â Kolkata, West Bengal, India - Incorporated in 1862, Calcutta Polo Club (CPC) is the oldest existing polo club in the world. 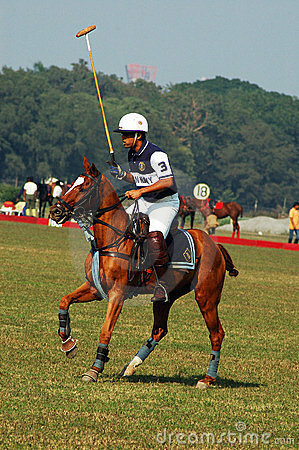 It was established by Joe Sherer, a British man who discovered the polo game in India. Calcutta Polo Club was once the âPOLO HUBâ for several members of the Royal families and top most players had their kiss of success with the Clubâs most Prestigious Cups. The club caters to the needs of polo lovers in and around Kolkata.The golf course has hosted many matches of national importance till the eighties.